With the growing international popularity of chocolate, the number of chocolate companies has increased dramatically and the competition between each has become more and more fierce. Along with the growth in chocolate companies, the number of chocolate certification organizations has also increased, to a point where the numerous labels are confusing to the normal American consumer. Today, chocolate companies can choose from a wide array of certifications to apply for, including Fair Trade USA, Fairtrade UK, Fair for Life, Rainforest Alliance, Direct Trade, USDA Organic and more. A question we should consider is: are these fair trade certifications actually creating the social impact they say they are in the chocolate industry and around the world? In considering this question, we will take a look at the history and business of one craft chocolate company without any certifications – Askinosie Chocolate. Askinosie Chocolate, through their direct relationship with farmers, is able to have a sustainable impact on the chocolate growing community and their own local community while maintaining the high quality of its products, without the distraction of any third-party certifications or labels. The term “fair trade” was defined by the international Fair Trade Federation in 2003 and is as follows: “Fair Trade is a movement promoting trading partnerships based on dialogue, transparency and respect, and that seeks greater equity in international trade. It contributes to sustainable development by offering better trading condition to, and securing the rights of, marginalized producers and workers.” (Witkowski) In order to achieve its goals, the Fair Trade movement relies on secondary organizations, such as the International Fair Trade Association, Fair Trade Federation, or Ten Thousand Villages, to implement an auditing system for supply chains to ensure they meet the standards. However, the goals of Fair Trade are broad and vague, and the standards of each Fair Trade organization can vary widely. For example, Rainforest Alliance, a non-profit, claims to certify fair trade products, but does not include standards for compensating producers above market price and in actuality has worked closely with Kraft and Chiquita, big food corporations, which may lead to competing interests (Witkowski). According to a 2009 study, fair trade consumers tended to value universalism, for example unity with nature and protecting the environment, as well as self-direction, or freedom and control over their own individual decisions, more than non-consumers of fair trade products (Doran). This study demonstrated that the values the fair trade movement promotes are important to a sizeable number of consumers. However, whether or not purchasing all products certified by a certain “fair trade” label is productively achieving those values is a question for further research. As the market for fair trade products has grown, it seems the way in which the original values have been manifested have changed, and not necessarily for the better. Because of the numerous fair trade certifications and the incongruent nature of their standards and information provided to consumers, consumers should question the true value of any fair trade certified product they choose to purchase (Ballet). The case of Askinosie Chocolate is an exemplary model for transparency and social impact in the chocolate industry today. Askinosie Chocolate was founded in 2006 by Shawn Askinosie, originally as a new hobby to replace his stressful criminal defense lawyer day job. Like some of the big chocolate companies today, for example, Hershey’s, Askinosie Chocolate started out as a family business. Shawn began by making chocolate in his office kitchen, perfecting recipes with his wife, and then managing the business side with his high school aged daughter. 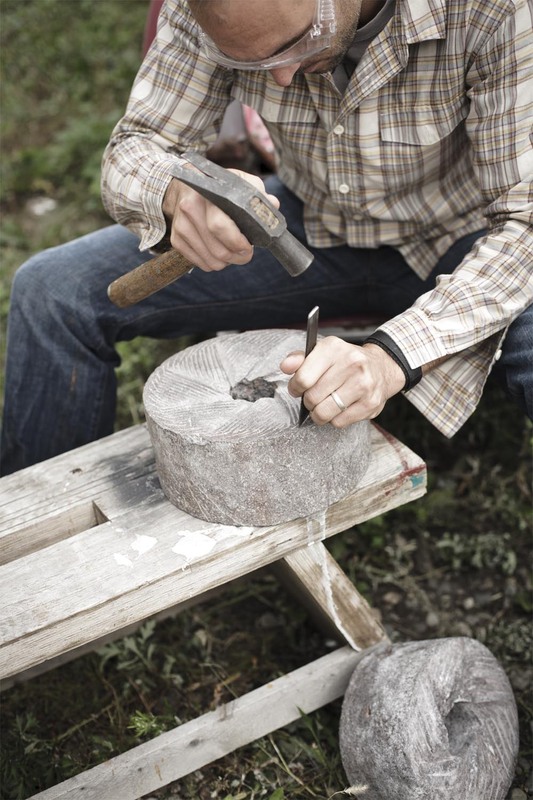 As the company grew, it made a noticeable effort to maintain the personal touch in their products, as evidenced through the personal stories of Shawn’s family members who are involved in the business as well as their business practices. One major practice that sets Askinosie Chocolate apart from its bean-to-bar competitors is their commitment to direct trade with farmers. Unlike its competitors, Askinosie Chocolate has not sought fair trade certification or established a third party organization to certify its direct trade practices. In fact, Askinosie Chocolate doesn’t use any type of certification for its cocoa or chocolate at all (their sugar, however, is certified organic). Shawn himself travels to the farm sites and establishes partnerships with farmers through acquaintances and business partners, and then evaluates the beans and the cacao farming process himself in person. 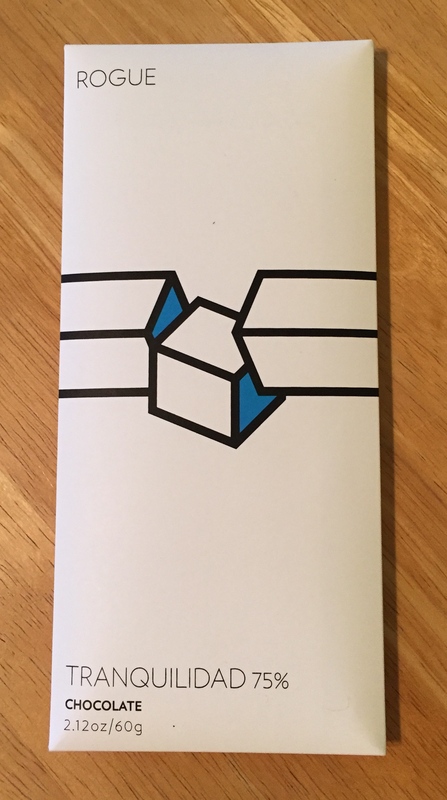 By avoiding a broker/middleman, Askinosie Chocolate is able to incorporate their value of cooperation and transparency throughout their supply chain. Askinosie Chocolate’s direct trade model is especially beneficial for the producers of cacao because producers are paid a higher price than the set fair trade commodity price as well as 10% of the company’s profits every year (Attoun). Because the beans are routinely tested before providing the bonus profits, the producers have an incentive to produce the highest quality cacao beans for Askinosie Chocolate. Instead of relying on a middleman to inspect quality, Askinosie Chocolate sends a company representative, often Shawn himself, to visit the sites and to meet the farmers while drawing up a contract and developing a partnership with them (“Askinosie Chocolate”). Although fair trade programs originally set out to shorten the supply chain that causes brands profit disproportionately compared to farmers, in reality, fair trade itself has become a cumbersome instrument like those it has tried to change. 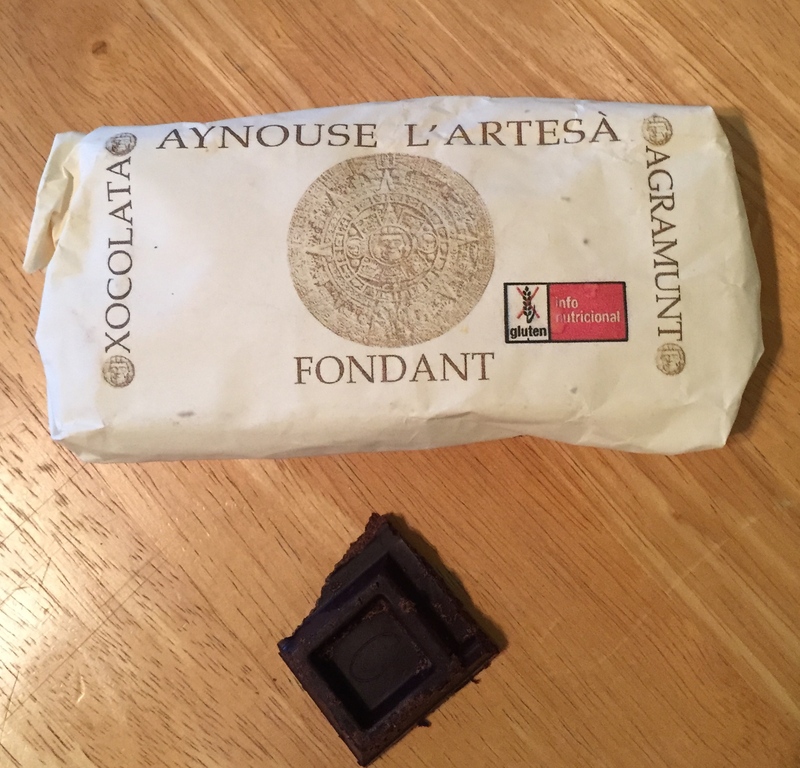 In contrast with fair trade certification programs, which often require the farmers and cooperatives to front a cost of anywhere between $2,500 – $10,000 for annual inspection and certification fees, the Askinosie Chocolate model doesn’t cost the farmers money because it is a business partnership (Tellman). 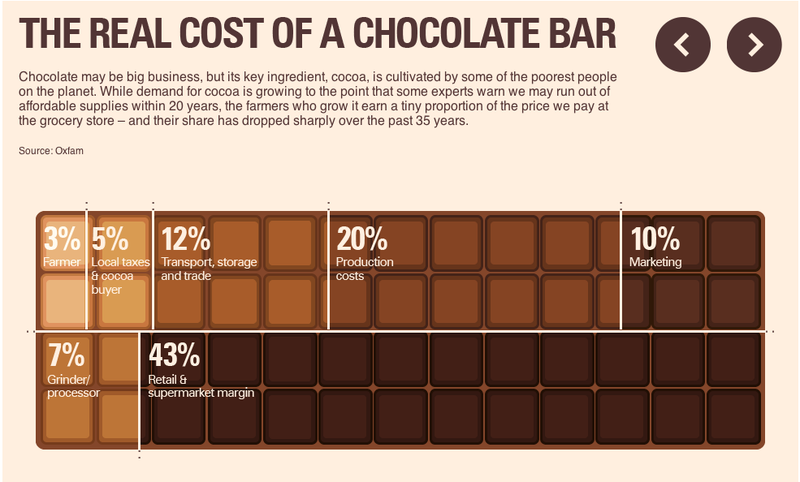 The combination of these yearly fees as well as the fixed commodity price for fair trade chocolate inhibit small farmers from participating in the system and limit the impact of fair trade overall. Askinosie Chocolate on the other hand plays a role in each step of the supply chain, ensuring that the business runs smoothly and that the partnership with farmers is fair at every single step. From finding the beans, building partnerships, shipping the beans, and actually making the chocolate, Askinosie Chocolate personally touches each part of their production process. Since the founding of the company, Askinosie Chocolate asserts that they have been “weaving social responsibility into everything we do” (“Askinosie Chocolate”), and that company value is evidenced by their numerous philanthropic ventures and careful business endeavors. Beginning in 2009, Askinosie Chocolate started Chocolate University, an18-month program for local high school students to learn about the bean-to-bar company, beginning from the bar that is completed in their town and ending with a visit to Tanzania – a site of one farm where Askinosie gets their beans (“Askinosie Chocolate: Bringing”). This program is a way for the company to empower the youth in the community to become global citizens while teaching them about the ethics of the chocolate business and experience first-hand the types of decisions chocolate companies may face, for example, choosing a farm at which to source cacao beans. 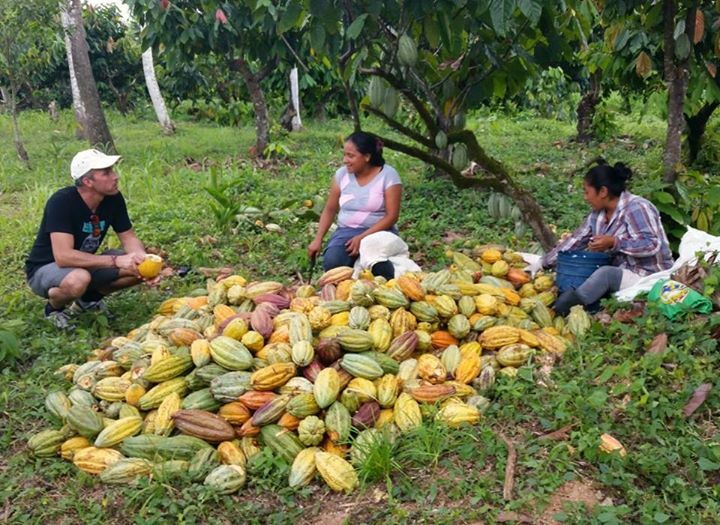 Before the trip to a cacao source, students in the program research the needs of the community and raise funds in order to address those needs and create a social impact during their visit. In addition to their community impact, Askinosie weaves their value of transparency into every part of their business. By creating personal connections with the farmers, Shawn is able to put a face to the product, and the company literally uses farmer’s faces as images on some of their products. The personal touch on the marketing of the chocolate bars indicates to consumers that there are real people behind the products they are buying, and tempt the already socially-minded consumer to purchase even more. 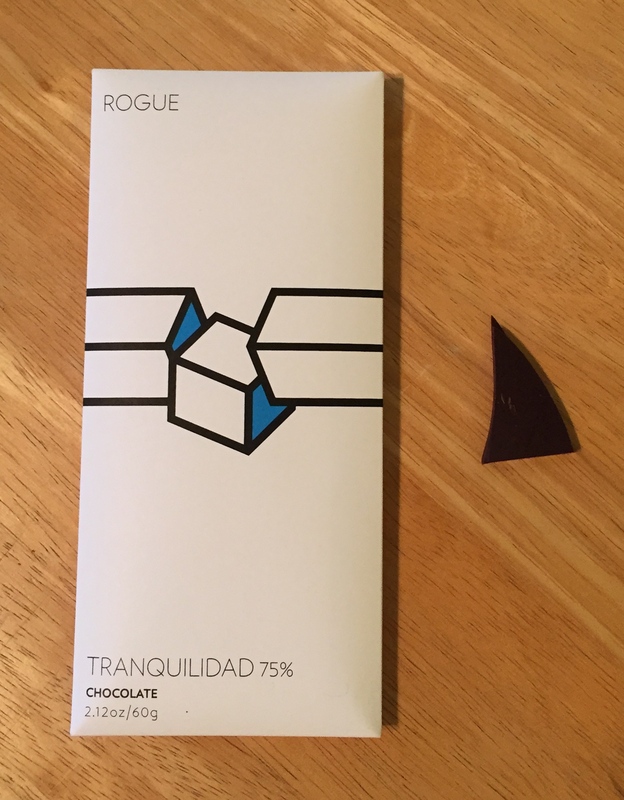 In addition, Askinosie Chocolate claims that their products are “100% traceable”, and their website has a tool for consumers to input the identification code of their product to track where individual ingredients actually come from (“Askinosie Chocolate”). Besides enriching the lives of consumers, Askinosie Chocolate takes care to also educate their farmers on their products. When Shawn visits farms to do yearly inspections, he will bring with him official sales numbers and even samples of the finished chocolate to allow the farmers to actually taste what their raw food product can create. By being transparent in their partnership with farmers and their relationship with consumers, Askinosie Chocolate is solving the problem fair trade certifications face today of unclear communication/information. In conclusion, Askinosie Chocolate is able to have a sustainable impact on the cacao growing community through their equitable direct-trade relationship with farmers, and company value of transparency by foregoing cumbersome fair trade certification programs. In addition, Askinosie Chocolate empowers its own local community through its social initiatives, such as Chocolate University. However, the question of how to scale their impact remains. As we have seen with fair trade certification, although it began with ethical values and goals, as the programs expanded, the desire for profit and larger impact outweighed the earlier ideals and distracted the movement from its origins. The direct trade movement and the family owned craft chocolate business should also be aware of the potential dangers of scaling while still maintaining its product quality. “Askinosie Chocolate: Bringing The World Together One Bean At A Time.” Markets of New York City. N.p., 18 June 2014. Web. 05 May 2015. <http://www.marketsofnewyork.com/2014/06/askinosie-chocolate-bringing-the-world-together-one-bean-at-a-time/&gt;. “Askinosie Chocolate.” Home Page. N.p., n.d. Web. 05 May 2015. <http://www.askinosie.com/&gt;. Attoun, Marti. “A Chocolate Factory with a Higher Purpose.” The Christian Science Monitor. The Christian Science Monitor, 6 Nov. 2014. Web. 05 May 2015. <http://www.csmonitor.com/World/Making-a-difference/Change-Agent/2014/1106/A-chocolate-factory-with-a-higher-purpose&gt;. Ballet, Jèrôme. “Fair Trade and the Depersonalization of Ethics.” Journal of Business Ethics 92.Supplement 2: FAIR TRADE IN DIFFERENT NATIONAL CONTEXT (2010): 317-30. JSTOR. Web. 05 May 2015. Doran, Caroline Josephine. “The Role of Personal Values in Fair Trade Consumption.” Journal of Business Ethics 84.4 (2009): 549-63. JSTOR. Web. 05 May 2015. Tellman, Beth. “Not Fair Enough: Historic and Institutional Barriers to Fair Trade Coffee in El Salvador.” Journal of Latin American Geography 10.2 (2011): 107-27. JSTOR. Web. 05 May 2015. Witkowski, Terrence H. “Fair Trade Marketing: An Alternative System for Globalization and Development.” Journal of Marketing Theory and Practice 13.4, Globalization and Its Marketing Challenges (2005): 22-33. JSTOR. Web. 05 May 2015. The industrialization period brought about the emergence of mass-production chocolate companies that have come to dominate the modern-day economic realm. The crucial component fueling this industry rests on the interplay between consumers and chocolate manufacturing companies, whose existence relies on accommodating the subsequent party’s needs. Competition between big chocolate companies fosters growth in the industry, however it also challenges the quality and practice of chocolate production, as companies employ cheap means in order to provide the most profitable product for the consumer. 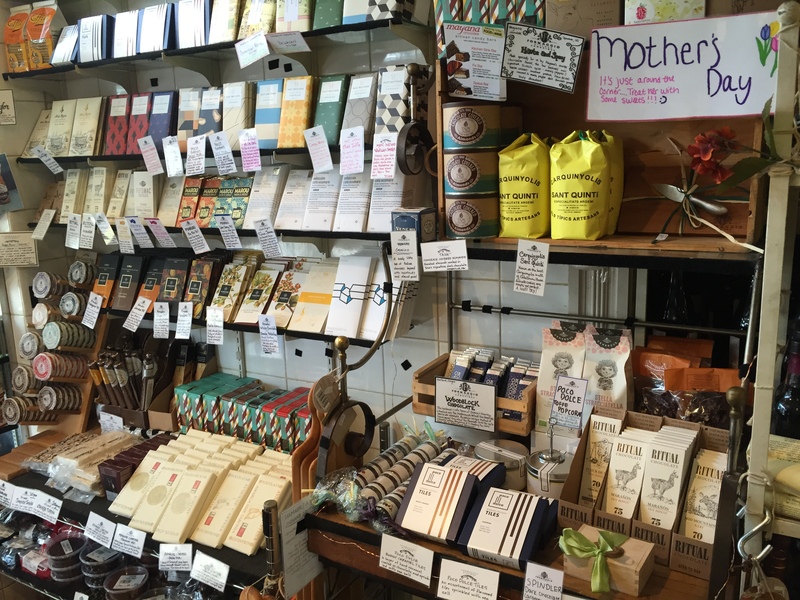 Cardullo’s is a small retail shop located in Harvard Square that historically has focused on supplying quality international foods, carrying a wide array of artisanal as well as bulk-produced chocolate. The shop very much intertwines with Harvard’s cultural values, and has adapted to provide a unique Harvard type “experience” by carrying crafted chocolates that stray from the conventional mass produced chocolates typically purchased by Americans. Cardullo’s legitimizes its products by generating a “social terroir” inviting the inquisitive Harvard community to taste the history of chocolate infused by different cultures inside the varying brands of chocolate, while simultaneously redefining the psychology behind high quality taste appreciation by promoting good ethics of production with its foreign associates and higher pricing of its chocolates. Ultimately, Cardullo’s challenges modern societies devalued sense of chocolate tasting appreciation that has been tainted by this generation’s fast pleasure-seeking life style. Cardullo’s was established at the steps of one of the world’s most pristine academic institutions, luring in students and visitors from an array of cultural and ethnic backgrounds. 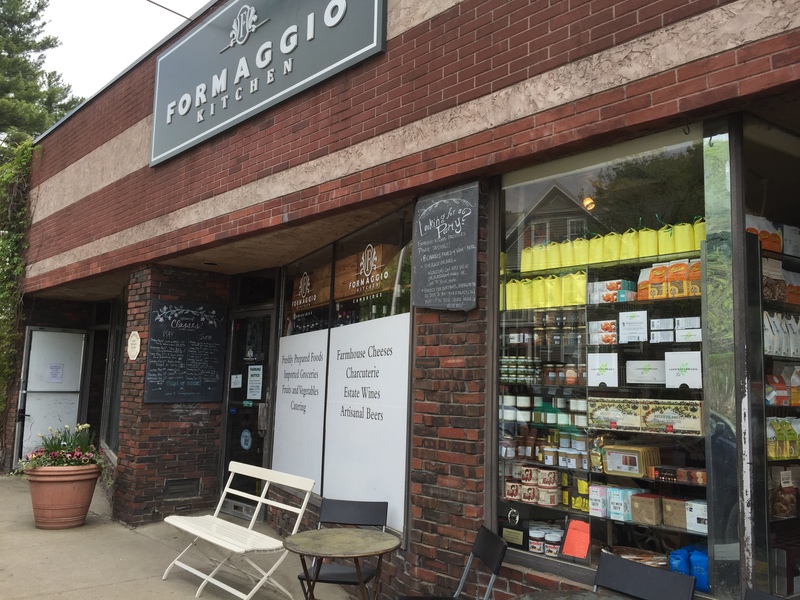 Franck Cardullo, who set out to fill a niche that could provide quality foods for the neighborhood’s international population, developed the store in 1950 (Culinary Cambridge, 2012). The original store was located across the street form it’s current location, however the layout and décor inside the shop remains much in the traditional style of the old days. 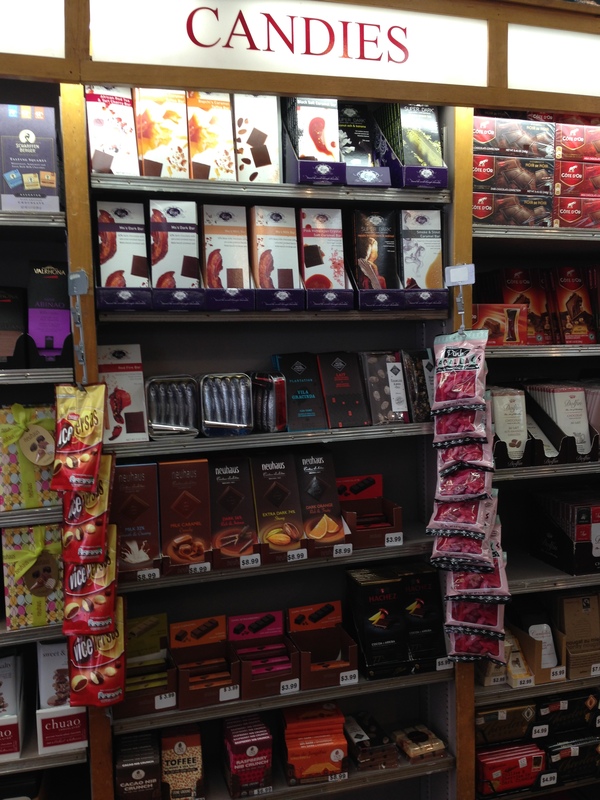 The shop carries a wide assortment of imported chocolate, from recognized brands like Tobleron and Mars, to less known labels such as Francois Pralus and Reger. 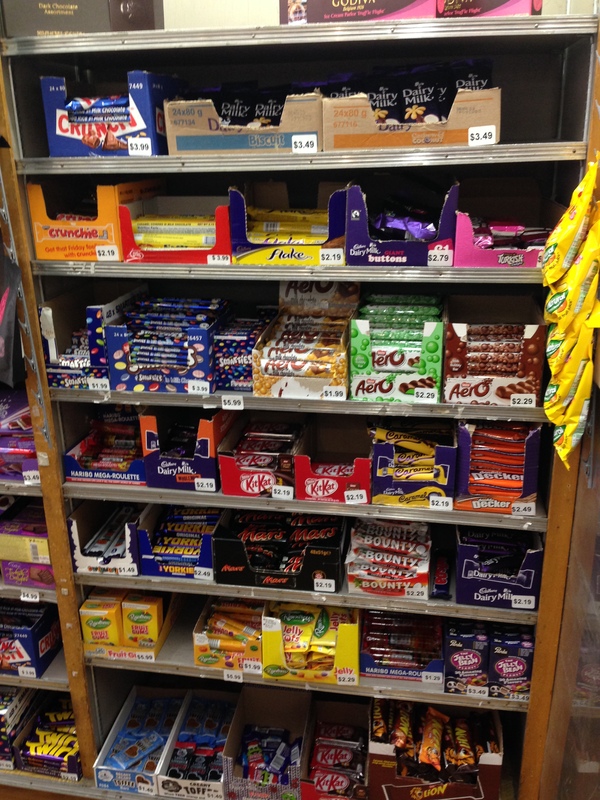 Interestingly, the store piles all the popular mass produced brands of chocolate and crams them in the lower right hand level of a shelf, while what are to be considered “finer” and more expensive chocolate brands are shelved with more precision, in a somewhat artistic manner. 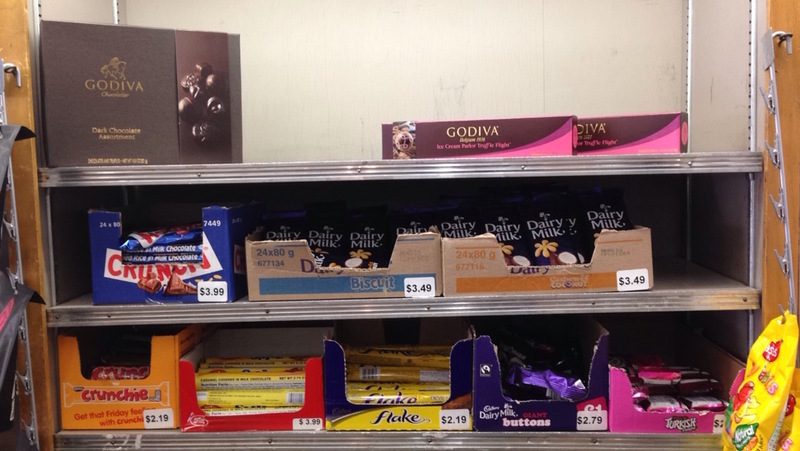 The two images below depict the cluttered arrangement of the cheaper over-refined chocolate in comparison to the graceful layout of the pristine deemed Godiva chocolate. Cardullo’s carries chocolate brands and flavors specifically targeted towards an audience of consumer conscious students, as well as the bountiful international tourists flocking to the University’s historical site. Harvard students are vey much driven by moral issues, and the community fosters consciousness on many social and ethical issues unfolding around the world. I will later introduce a concept of moral and social terroir that drives Harvard’s consumer choices. 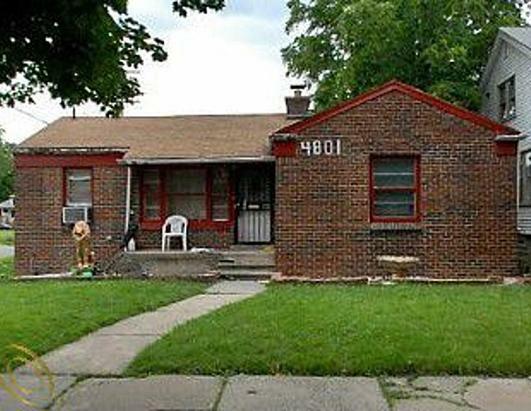 A second factor driving the choices of these consumers results from the impact of history in the community. Harvard students and tourists visiting the university have a great appreciation for historical contexts and the preservation of historical traditions. 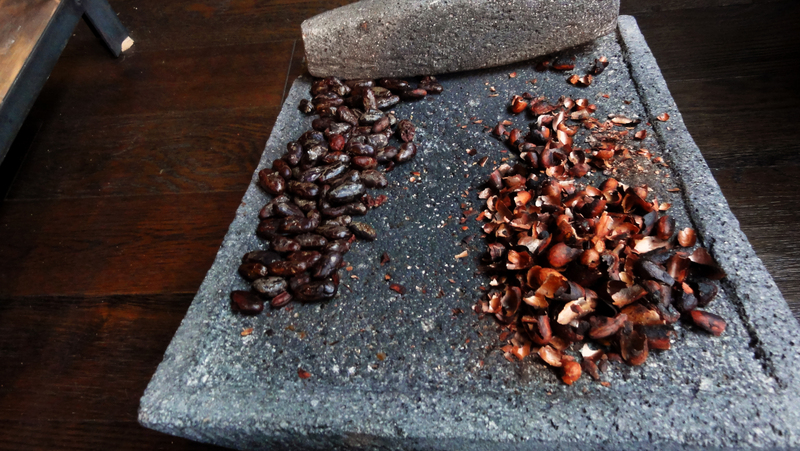 Marcy Norton describes in a book on “Tasting Empire,” 16th century records from Zapoteca, Nahua, and Mayan regions depict entries in diaries of cacao drinks being prepared with cacao and maize, cacao and chili peppers, and sometimes cacao alone (Norton, 2006). 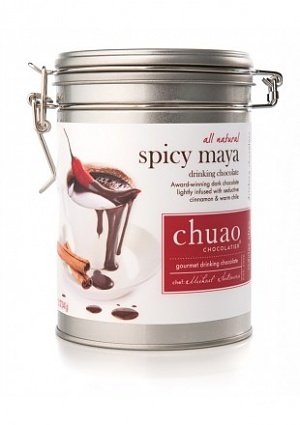 The tastes of the cacao drinks may be unique to the time, but Cardullo’s has found a means to capture a similar historical essence by selling a spiced Mayan cocoa drink labeled as such, instead of simply tagging it as “hot chocolate”. The chocolate supplied by Cardullo’s can thus be seen as a connection between the past and the present, serving as a means of unifying different cultures and historical eras. Premium chocolate blend made with Venezuelan chocolate, which is considered one of the finest in the world (also historically important in the chocolate industry). Deeply flavored, aromatic drink. While Cardullo’s supplies chocolate containing original flavors consumed by the people in Mesoamerica, it also emphasizes the detrimental role played by Europeans in the transformation of chocolate form it’s ancient condition to renown modern form. Many scholars have argued the case that the Spanish were appalled by the taste of the chocolate drink consumed by the natives and drastically transformed it when they returned to European soil. Norton however, counters this misconception by arguing that while Europeans added their own inventions to the chocolate they brought from Central America, “there was no conscious effort to radically reinvent the substance. Instead, modifications came about because of gradual tinkering motivated by efforts to maintain- not change- the sensory impact of chocolate” (Norton, 2006). 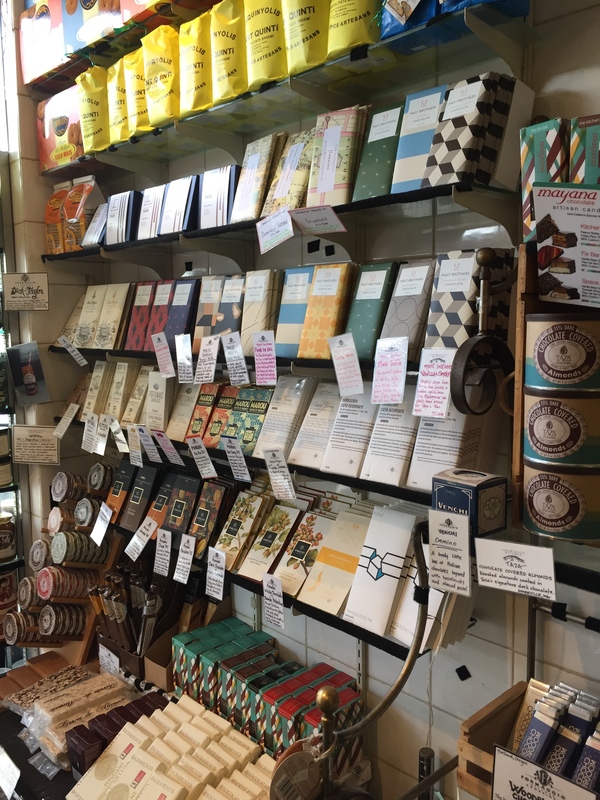 Cardullo’s further supports Norton’s argument, and seeks to educate it’s consumers on the transformative history of chocolate as a part of their experience. 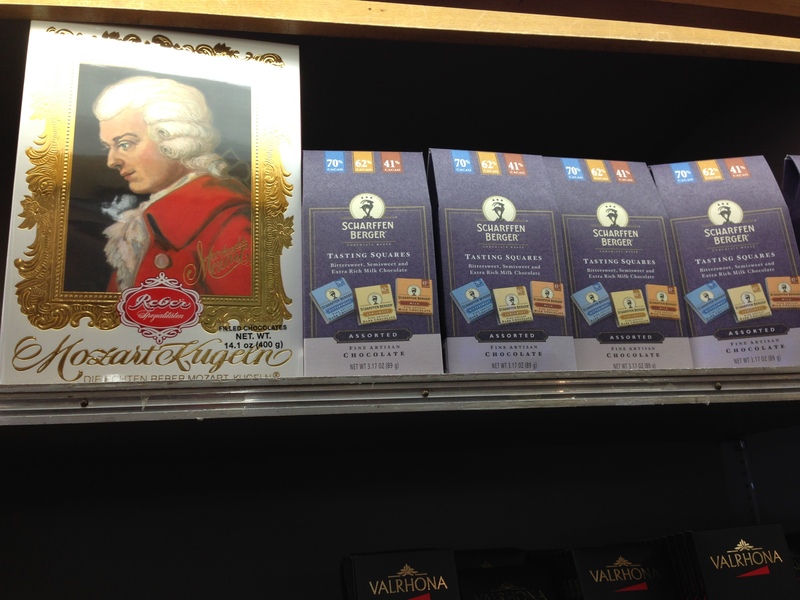 The image below portrays a box of German chocolates called “Reber Mozart Kuglen,” plastered with a portrait of Mozart himself. The chocolate is placed on the highest level of the shelf in the store, almost as if on a pedestal, thus accentuating the celebration of European tradition in chocolate. The label further details that the box contains “filled chocolates,” a crucial European innovation to the manufacturing of chocolate. Classical Reber Picture Box containing 20 “Genuine Reber Mozart-Kugeln” filled with pistachio marzipan with green pistachios, almond,s and hazelnut praline. They are coated with milk and bitter-sweet dark chocolate and are imported from Germany. 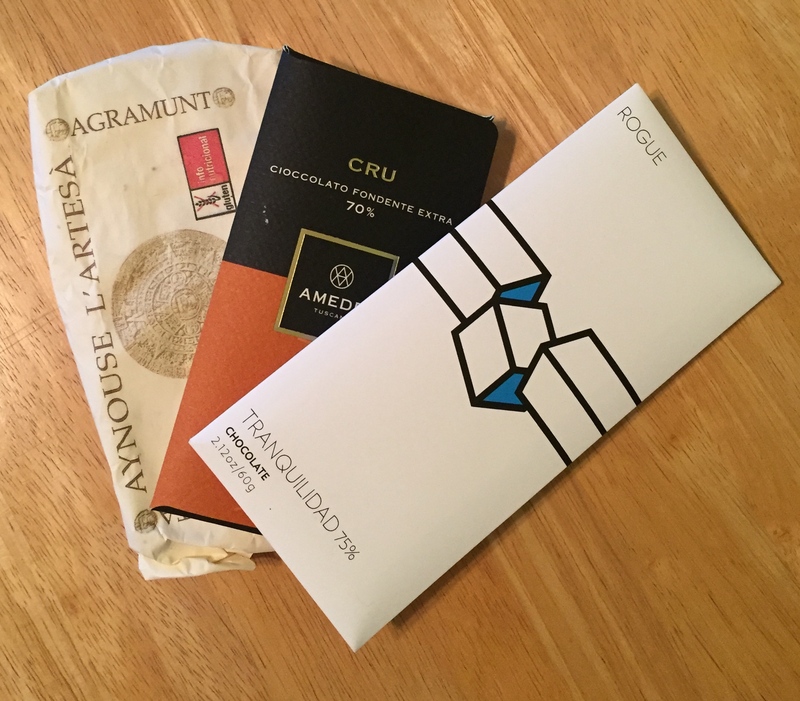 Cardullo’s really builds on the idea of providing its consumers with a unique sensory experience of chocolate’s historical origins, by focusing on removing any outside influences of modern times that could be altering the pureness of chocolate appreciation. Cardullo’s captivates the interest of its consumers by appealing to their focus on good morality and strive towards a greater appreciation of the world. One of the ways in which they achieve this is by supplying single origin chocolate, as a means of directly altering the consumer’s sensory experience to a foreign region. Over the recent years, consumer preference in the US has increasingly shifted towards single origin bars, resulting from an appeal towards the “localization” of foods whose origins tend to be anonymous (Leslie, 2013). 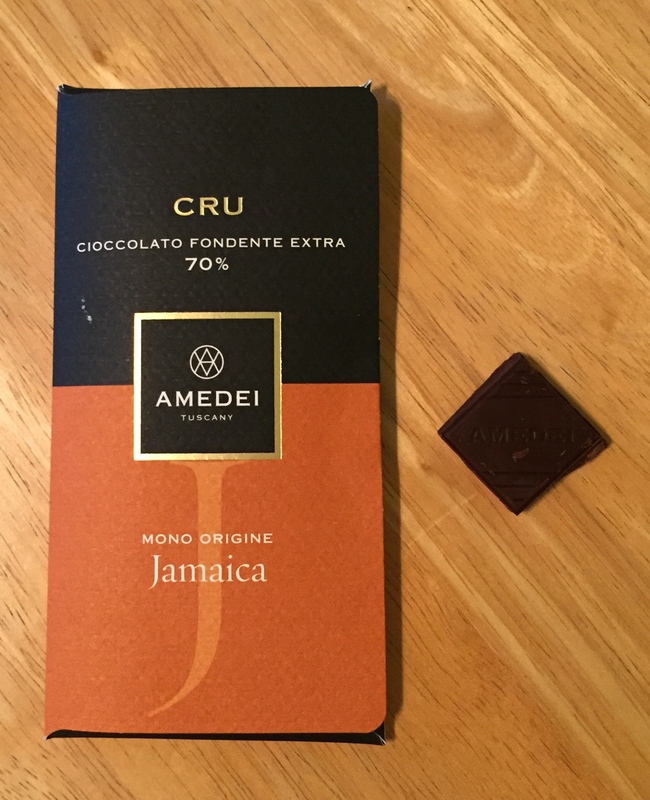 This can also be described as the “beans to bar” notion that Leslie characterizes as chocolates that are produced from a single variety of cacao produced in one region. An example of this can be seen in the Francois Pralus selection at Cardullo’s shown below, which even details the precise latitude and longitudinal coordinates of the region in which it was produced. 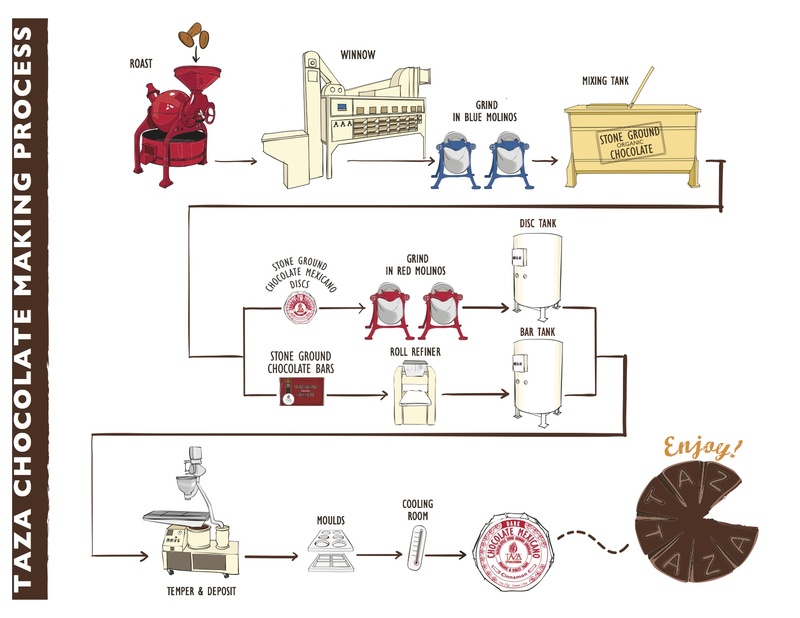 Different origins of the Francois Pralus chocolate. Notice the global coordinates printed above the brands logo. Such emphasis on location of the origins of the chocolate draws on the notion of terroir, which can be described as a characteristic taste and flavor of chocolate resulting from the environment in which it is produced. Nesto argues the case for single origin chocolate, in which using site-specific, quality cacao produces a bar fused with terroir given the minimal and sensitive processing sustained (Nesto, 2013). 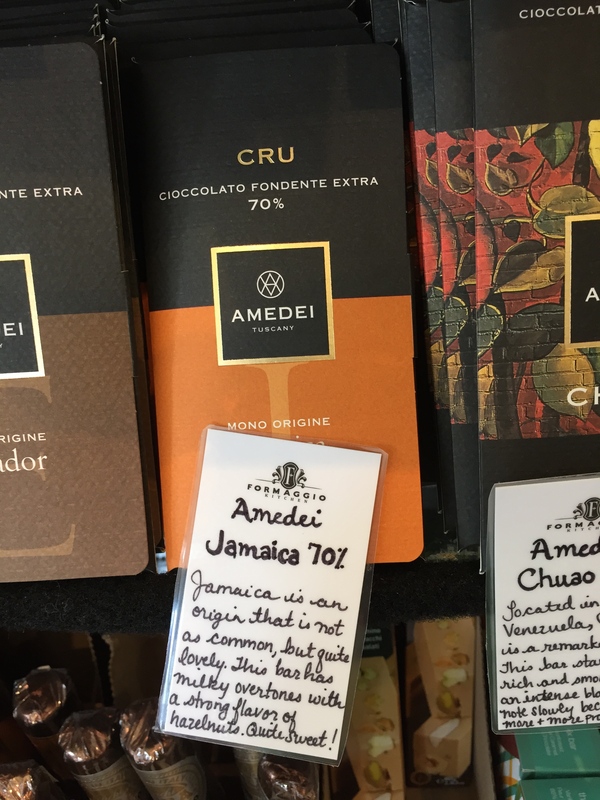 Cardullo’s generates a “social terroir” in its selection of chocolate by providing its consumers with a taste of the history of chocolate simultaneously infused with different cultures. 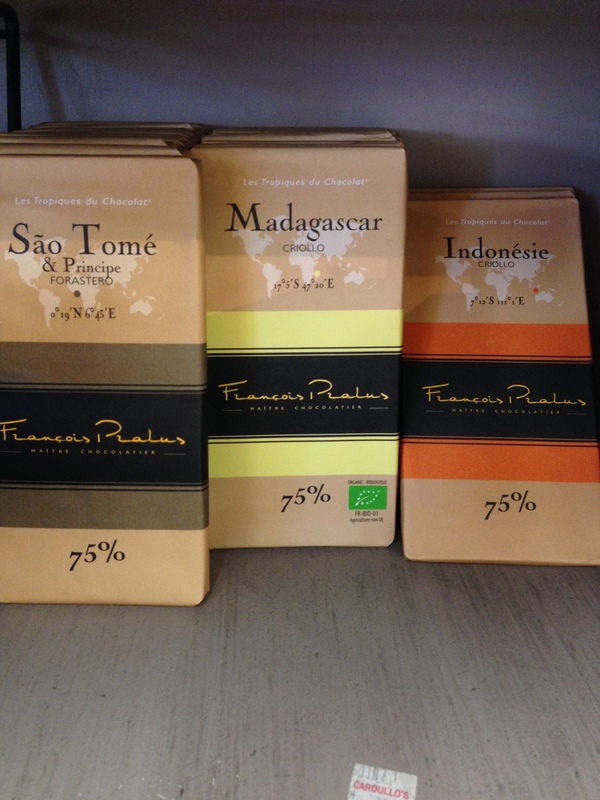 This attraction to the exotic and unknown is what drives consumers to purchase chocolates from origins of Sao Tome, Madagascar, and Indonesia, like the ones seen above. Madagascar for example is an attractive origin largely because of “it’s cooca’s unusually bright, high citrus notes” (Leissle, 2013). This social terroir provides information to the consumer about the potential ethical dilemmas behind the chocolates production, while also serving as a publicity measure promoting the improvement of relations between the United States and its foreign partners. Most of the brands supplied by the store stray from the renowned brands of mass-produced chocolates that carry negative qualifications due to the ethics behind production. Cardullo’s sells brands labeled with other countries, which the United States promotes positive relations with as a tool to draw a parallel between positive foreign relations with countries and the good ethics behind their chocolate production. One can observe Cardullo’s supply of the Madagascar and Sao Tome selection of Francois Pralus almost as a diplomatic tool. As Leissle argues, Madagascar has a positive reputation in US popular understanding since it “seems culturally, historically, and politically separate from the troubled continent of Africa proper” (Leissle, 2013). On the other end of the spectrum, Cardullo’s also supplies the Sao Tome label as a means to amend the negative light shown on the region as a result of its past turmoil with the Cadbury Company. As Catherine Higgs describes in her book, Cadbury employed slave labor practices on cocoa farms in Sao Tome during the early 20th century, leaving behind a region that continues to be rocked by political and social turmoil (Higgs, 2012). Cardullo’s strays from supplying conventional fair trade and organic stamps as a means of legitimizing its products, and instead focuses more on the price range of chocolate. If you click on the chocolate tab on the stores website (http://www.cardullos.com/category/view/chocolate), there is a range in chocolate from the most expensive price being $65.00 for a chocolate basket, to more moderate chocolate bars sold for $10.00. The lofty price of the chocolate boxes reflects on the artistic quality of the design as well as the ingredients, but comparing similar sized chocolate bars across the spectrum there is a significant price difference that results from the quality of cocoa beans and other ingredients used. Williams et al. 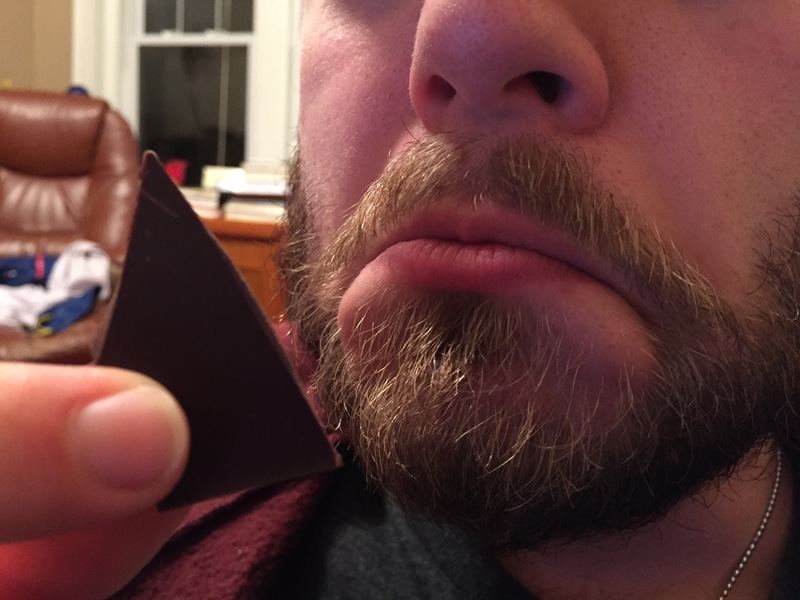 wrote a piece in which they argue against the cheap cocoa beans and artificial ingredients used by certain companies to make a profit, further asserting the freshness in flavor that results from the use of natural ingredients, such as in the Mast Brothers Chocolate’s products (Williams et al., 2012). People tend to develop different levels of taste appreciation depending on the exposure to different types of chocolate during their lifetime, which can be a result of the affordability in price of the chocolate. However, consumer’s appreciation of chocolate can also be influenced by the price of the chocolate. People automatically tend to associate more expensive chocolate to a higher quality and sophistication in the product, especially in modern day society where most consumers purchasing decisions are driven by financial forces. Stuckey argues there is a psychology behind consumers understanding the food they are tasting (Stuckey, 2012). 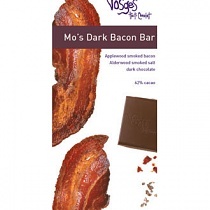 This can result in consumers quite literally focusing on the taste of the price of chocolate, and lead them to try unusual flavors such as “Mo’s Dark Bacon Bar,” simply because they assume the higher price applies to higher quality. This however, serves as an important marketing strategy allowing Cardullo’s to redefine the tastes associated with more expensive, and finer chocolate. Cardullo’s marketing measures divulges the stores concern on redefining consumer’s ordinary, present day experience when eating chocolate. The chocolate sold at Cardullo’s presents a break in tradition of which Williams et al. would describe as “a generation that wants pleasure fast,” (Williams et al., 2012) further challenging the morality and taste appreciation of the mass-produced chocolate market. The store’s attempt goes hand in hand with the Harvard culture’s desire to experience new things, while paralleling to Harvard’s exclusive nature in providing unique tastes, such as the collection of brands and flavors seen below. Stuckey argued the importance behind the psychology of taste, stressing the more food you taste the more you will develop to appreciate it (Stuckey, 2012). Cardullo’s wide selection of chocolates differing in origins and tastes therefore reflects the businesses goal in challenging the way this generation appreciates chocolate. “Cardullo’s.” Culinary Cambridge. N.p., 2012. Web. 04 May 2015 <http://cambridgehistory.org/discover/culinary/cardullos.html&gt;. “Chocolate.” Cardulloscom RSS. Cardullo’s Gourmet Shoppe, n.d. Web. 04 May 2015. <http://www.cardullos.com/category/view/chocolate&gt;.